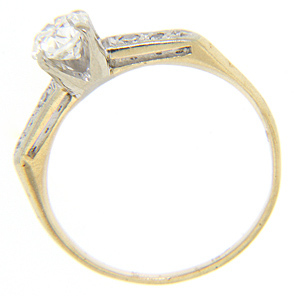 Graduated diamond trios are set on the white gold shoulders of this 14K yellow gold retro-modern engagement ring. The center diamond is a .55 carat, H color, Vs1 clarity stone. 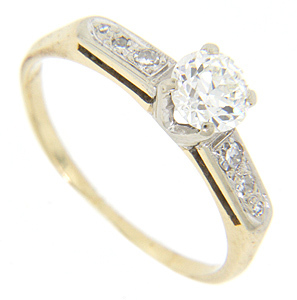 The vintage ring measures 5.5mm in width. Circa: 1940. Size: 7 3/4. We can resize.